This has been an amazing era for studio engineers. With the emergence of increasingly powerful laptop computers, inexpensive I/O, and advanced DAWs and audio plugins, artists and engineers can now cut a proper studio quality record in their basement. But with all this technology becoming increasingly affordable in the studio world, it seems that the live side of audio engineering often gets left out. Shouldn’t live engineers get to use the same tools that their studio counterparts use? 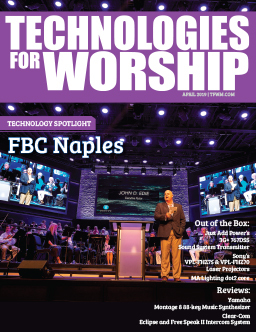 It’s true that digital live sound consoles have come a long way quickly and continue to evolve with higher fidelity and reliability, but in the live world you are still very much limited to the basic tools that come with the desk. Thankfully there is one company who realized years back that this shouldn’t be the case, and have put a lot of their resources into creating and supporting a platform that is purely dedicated to giving live engineers the ability to use their favorite tools in a live setting. 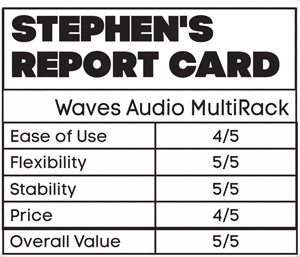 Waves Audio created an application called Multirack, a host platform used to run their plugins for live sound. The application itself is visually laid out just like a rack of outboard gear that you would use at a gig or in a studio. When you first open Multirack, it’s just a blank rack space. Just like a hardware insert, you can insert this rack on anything you’d like (ie. input channels, output channels, groups, etc. ), and you can add up to eight plugins per rack and arrange the processing order any way you’d like. You can continue to add as many rack spaces as needed for processing. Furthermore, you can make these racks mono, stereo, or even mono-to-stereo for different processing like FX returns. I think that a large misconception about using plugins live is that it’s unnecessary; all just icing on the cake. To that, I must say that using plugins has put me on the mixing offensive rather than the defensive. In other words, where I would normally have been doing damage control and just trying to make sure nothing is feeding back, I’m able to actually fix the issues with some of these tools, and then mix into the music like a studio mixer would and take the live experience for the listeners to the next level. 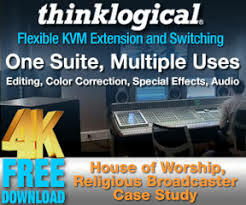 I was using Waves Multirack years before I came on board with them as their Live Product Specialist, as one of the FOH volunteers at Passion Church in Atlanta, GA, and also when mixing other artists. One of the main artists I’ve been fortunate to work with is Matt Redman, and throughout the past 5 years of working with him I’ve been able to try out many different plugins and develop a great library of presets for his band. There are so many great tools available to correct issues that you wouldn’t typically think of. For example, Matt tends to do a bit of talking in between songs. Before I was using Waves’ C6, I would start to EQ his vocal in sound check when he was hitting the mic pretty hard, and I could get it sounding pretty good. Then during the gig he would start talking at normal voice in between songs, and all of a sudden his mic became muddy and unintelligible. This is because I had EQ’d out a bit of the high-mid harshness when he was at full voice. In order to correct this problem while he was talking, I would carve out a good bit of low-mids, which cleaned up his voice nicely. But then the next song comes around and he’s at full voice again, and the low-mids I pulled out made his voice sound thin and bright. With standard EQ and channel compression, you just chase yourself in a big circle because you are making static adjustments to a dynamic input. With dynamic compression like Waves C4 or C6, it will only react to and correct the problem areas as they occur in real time. This is just one example of the many different tools available to help you go on the mixing offensive. As mentioned, some of Waves’ plugins such as C4, C6, DeEssers, Q10, H-EQ and InPhase are great problem solvers. Some are very musical, like the CLA compressor models, H-Comp, SSL, EMI and API models. There are many types of FX such as reverbs, delays, doublers and tape machines. The list goes on and on. With Waves’ Multirack, you are no longer bound to what lives on the console you are working on that day, and you can take your entire plugin toolset with you wherever you go because Multirack has been engineered to work with practically any live sound desk. Plugin and Rack presets are another huge advantage with Multirack. For instance, I have saved Matt’s vocal chain into a preset file called ‘Redman’, and have saved presets for the other singers (Jorge, Bryan, Nathan and Jon) as well. I can load their individual rack presets into a Multirack rack space at any time with the click of a button, which will load all the individual plugins and presets that are associated with that person’s preset. This preset feature can be very useful for churches who have rotating band members and singers week to week. I am using this preset system all the time when mixing at Passion City Church. 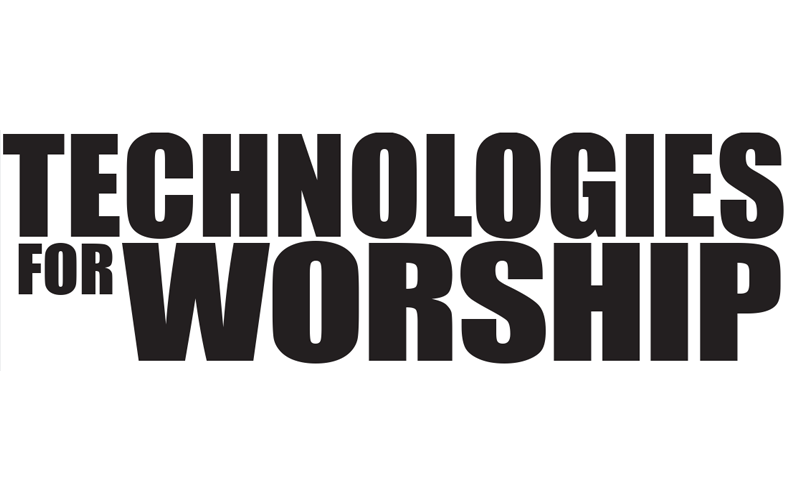 We have about 8 different worship leaders and singers rotating in and out (or even all at the same time), and since we don’t have mid-week rehearsals, I don’t have a lot of extra time during sound check to dial in vocals. Instead, I get there about 20 minutes early, build my show file for that morning, load my presets and my mix is literally already 80% there before we start sound check. You can also update presets on the fly, which I find very convenient. It’s a massive time saver. Waves products simply speak for themselves, and I was very drawn to that. It’s no wonder that the biggest tours and A-list mixers are using these tools to help shape their sound. The plugins are easy to use and they truly sound amazing, and they have some of the best support available. It’s a win-win if you ask me. 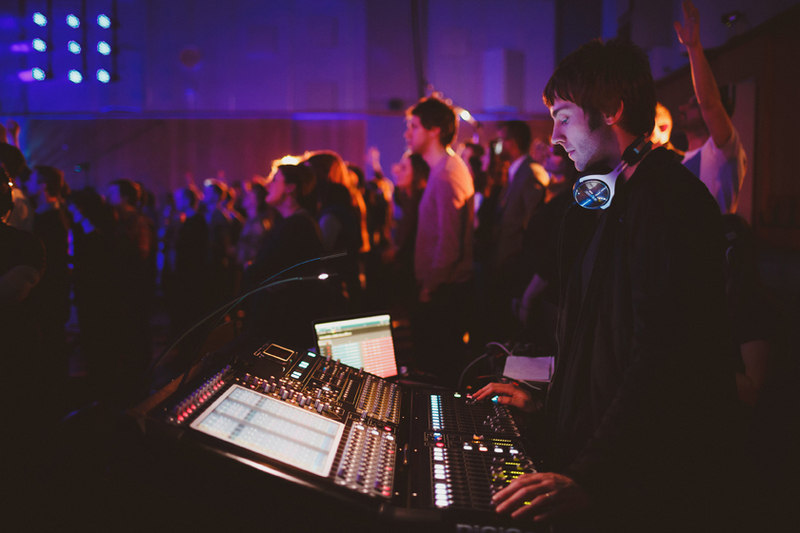 Stephen Bailey is a touring FOH engineer for Matt Redman, and mixes at Passion City Church, Atlanta, GA, as well as Waves’ Live Product Specialist.